I hope you enjoyed Episode 110, about waking up and getting your eating off autopilot. Now, continuing with that theme, you and I will work on looking at the rest of your life in a more mindful way. 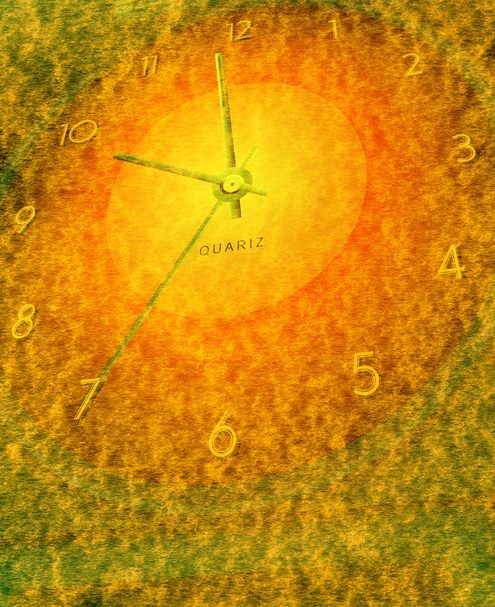 Why living your life on autopilot causes you to miss out on a lot of good things. How eating without distractions sounds good but isn’t realistic for most of us. Is meditation required for living a more mindful life? The most common reasons I hear for why becoming mindful doesn’t work. Why acknowledging that you are the center of your life makes it much easier to know what to do and what to work on. Creating a vision of what a mindful day would look like. A challenge to create your own mindful day vision. The feelings you should have when you leave unneeded food on your plate. Cookie is taking a brief health-related leave of absence, but she will be back. In the meantime, listen to episodes 1 – 104 and dive deeper into all the content with the Podcast Study Guide. And be sure to get on the wait list so you know when the Freedom Group opens up, and be coached by Cookie. Can you believe it’s the end of another year with me? We’ve had so many coaching sessions together, with lots of new information. 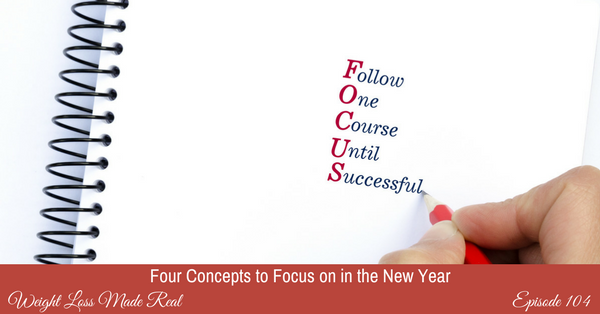 I wanted to take today to outline for you some of the things I want you to focus on in the New Year. When you say these words, you guarantee that you won’t learn anything new, or change your perspective. 2. Next, revisit Episode 68. I want you to understand why it’s so important to take a leap of faith. We will talk about what it is, and of course, how to do it. You cannot move forward if you don’t do what you have never done. I understand that you have no proof that you can do the unknown, but this is how you do it. You take a leap of faith. And you build your confidence. 3. Now, we move on to Episode 70. How often do you fall down and instead of getting back up, you say: “Screw it!” This is a dead-end statement. It stops you in your tracks, and it can become very habitual. Let’s learn how to fall down and get back up quickly! 4. And finally, have a listen to Episode 75. Do you have CLEAR guidelines? How you will eat? And why? And when? And how will you know when to stop? If you are thinking, “No, but I’ll just be good,” this won’t work. Clear guidelines are the way to go if you want definite results. Join me in this session that summarizes some of the most important things you learned with me this year. I hope you are loving these podcasts and think of them as private coaching sessions between you and me. That is how I think when I’m recording them for you. Many of you have written to me telling me amazing stories of weight lost, habits changed and lives improved, all from listening to these coaching sessions. And some of you have written to me asking for more help. You love the content of what I’m saying but you have trouble applying the ideas to your own, day-to-day life. Well, that’s what we will cover today. I will show you how you can take these podcasts and use them to more deeply incorporate what I teach, into your days. This will help you change your eating, thinking and self-care. And of course, this is how you change your weight! And, if you like things done for you, check out the link below for more information on my Weight Loss Made Real Podcast Study Guide. It’s designed to help you dive deeper into everything I talk about, so you can live the change, not just think about it. I’ll see you in the coaching session. Are you baffled about why you weigh what you weigh? Do you just tend to take all the factors that make up weight loss and lump them all together? How you take care of yourself. 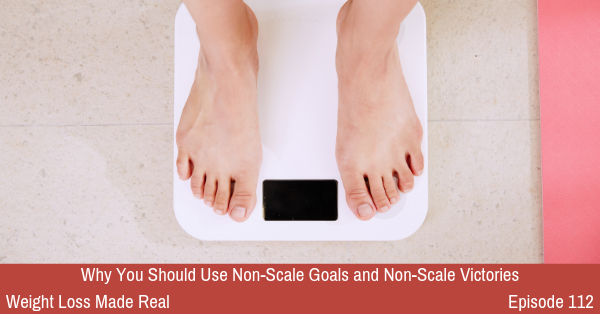 So if you want to change your number, your weight, listen in as I show you how to view your weight as a simple equation. And if you want to change the number, you can play with all the parts that make up your life. Sound complicated? It’s not. 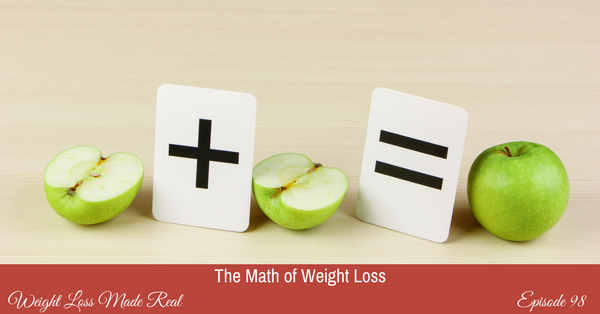 Join me as I show you the New Math of Weight Loss. No calculator needed. Promise! Do you remember Julia Cameron and her book, The Artist’s Way? It was all about writing each day in order to tap into your creative thoughts. Today, I’m going to share two of the tools I like best from another one of her books, called The Writing Diet. What if spending a few minutes each day writing instead of eating could help you get to the root of things? Wouldn’t you try it? I want to help you get some clarity, instead of getting those cookies. So join me as I discuss and teach two of Julia’s tools that can help you access whatever is causing you to eat more than you need, and holds you back from what you want most: freedom. See you in the session. Oh, my goodness! Just the mere mention of keeping a food journal is enough to throw most of my clients into a tizzy. How about you? What memories does the thought of writing down what you eat, bring up for you? Could it be memories of shame and judgment and thinking poorly of yourself? Remember when you dieted, and you slipped, (of course you slipped!) and you went to write down that slip and ugh! You felt terrible? No more. I am not saying you must keep a food journal. But if you are stuck in a plateau, and don’t know why your weight is at a certain point, keeping a journal for a few days can be a dose of truth. And nothing moves you ahead faster than dealing with reality as it is, not as you wish it were, not as you remember it was, nor as you hope it should be. Reality is what you are truly doing, and eating, and that is giving you the result you have. Let’s lose the old image of the harsh, punishing food journal and look at a simpler version that will help you play detective in your own life. Are you confused when you hear me talking about self-care, and treats, and rewards and bribes? These words can be confusing. That’s why you might default into giving yourself a sweet whenever you feel that need for ‘something’. Or when you want to reward yourself for a job well done. And how about a little bribe for getting yourself to do something challenging? That’s allowed, right? It’s good to take care of yourself, no doubt. But I want you to make sure that what you’re giving yourself really is a well-deserved reward, and not a poorly chosen treat that takes you off track from your goals. Let’s talk about the difference between self-care and treats, bribes and rewards, when to use them, and how to use them so they feel good and truly lead you closer to what you want. Be THE Best? Or Be YOUR Best? Well, when you want to be the best, you push yourself. You compare yourself to what others are doing. You decide where you fit in on the curve. And you take actions based on your position. You also judge your worth based on that position. 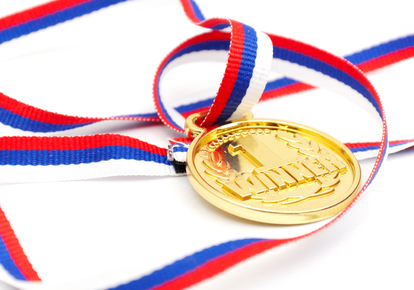 Could striving to be THE best push you to leave your comfort zone and achieve a lot? But it is hard to define. And by definition, there’s only one in each category. So, what does that make you if you’re not THE best? Now, what if, instead, you strove to be YOUR best? You don’t compare yourself to others. You don’t measure yourself on the curve. And you certainly don’t judge yourself based on your position. And your only comparison is YOU to YOU. I don’t know about you, but to me, that feels a whole lot friendlier and more supportive. Me? I’m going to work to be MY best. The heck with being THE best. Comments Off on Be THE Best? Or Be YOUR Best? How much time do you spend thinking about what you eat? And about what you didn’t eat? How about what you want to eat? And what you wish you hadn’t? Wish it were thinner, firmer, smaller? And let’s not forget the guilt. How much time do you spend on guilt and regret for things you’ve eaten, for what you weigh, for basically, well, for being you? Do you spend time thinking about weight you’ve gained? Weight you wished you had lost? Do you count points, calories, fat grams or carbs? Do you search the bookstores for an answer? Do you spend time wondering what is wrong with you? Searching the internet for a magic bullet? And how about the way you torture yourself when you get dressed. What looks good on a body you wish were different? 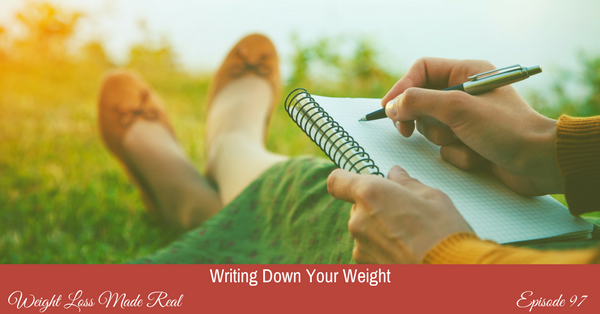 I don’t know about you, but I’m getting tired just writing about all the time we spend thinking about weight, food and our bodies. What a waste of the life you have! You could be finding the love of your life. Writing a killer report for work. Bonding with your best girlfriend. Taking in a great movie. All the things you could be doing. If you could lose your extra weight. If you could lose the whole problem. Losing the weight takes care of the symptom. Losing the whole problem is a permanent fix. So stop wasting your time. Stop looking and obsessing and wishing and hating yourself. 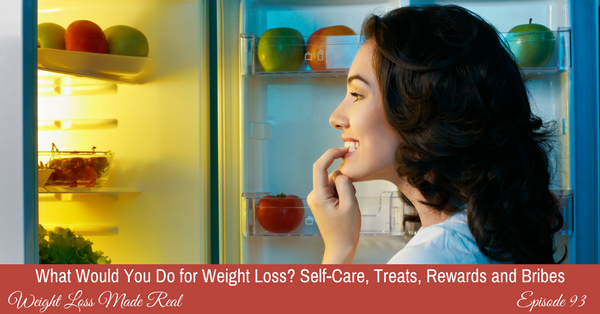 Find out why you overeat, and do the work. Make the change at that deep level. And you will gain enough time to create an incredible life. Or make the one you already have awesome.